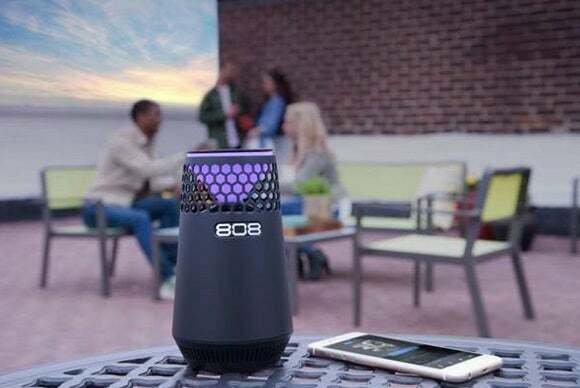 After selling nearly 1.5 million of its Canz Bluetooth speaker, 808 expands the line to include both larger models for bigger sound, and more compact ones for increased portability. 808 Audio aims to exploit the weak spot of higher-end Bluetooth speakers from manufacturers such as JBL and Bose: Pricing. After consumers snapped up nearly 1.5 million units of its diminutive Canz speaker, 808 Audio has decided to double down on that form factor with a much larger version—the Canz XL—as well as three other budget-priced Bluetooth speakers. “We offer consumers a line for everyone, while including features that are in line with products that are two and three times the price,” 808 Audio president Ian Geise says of the new speakers. The new Canz XL speaker beside the original Canz. The $100 Canz XL measures five inches wide and just about 7.5 inches tall. It’s nearly two and a half times the size of the original Canz, with a larger driver, better bass response, and a battery that’s rated to last eight hours on a single change (the battery in the smaller original speaker lasts six hours). 808 Audio’s $80 Hex Light is about halfway between the size of the Canz and the Canz XL, but is shaped similar to a votive candle. It features a multicolor LED that changes in response to the music played. It's rated to last six hours on a single charge. If you’re looking for something more portable, the candy-bar shaped XS Sport, is 808 Audio’s first water-resistant speaker. 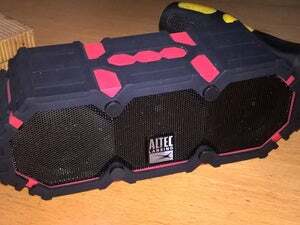 Its IPX6 rating means it can withstand powerful jets of water, but it's not submersible like Altec Lansing's Mini LifeJacket III. The XS Sport features dual drivers, and an included carabiner allows you to attach the speaker to a bookbag, belt loop, or wherever you’d like. 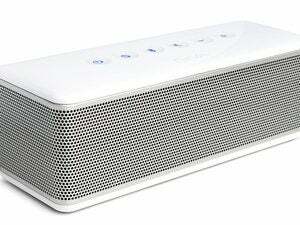 808 Audio’s $80 XS Sport Bluetooth speaker is designed to deliver music on the go. Finally, 808 Audio's latest top-of-the-line Bluetooth speaker—the $130 Hex LXS—features dual 3.0-inch full-range drivers and bass radiators, a 20-watt amplifier, and a 4000mAh battery rated to last up to 10 hours (somewhat less than that if you take advantage of its USB port to charge your other devices). allows up to 10 hours of playtime, but if you use the USB ports for charging devices that’s going to be less. Each of these speakers is available now.